Celebrations marking two major Baltic Yachts’ events in June, the Baltic Yachts Rendezvous and the christening of the Baltic 175 Pink Gin, were attended by almost 1000 guests, staff and their families demonstrating the strength and importance of the Baltic Family. 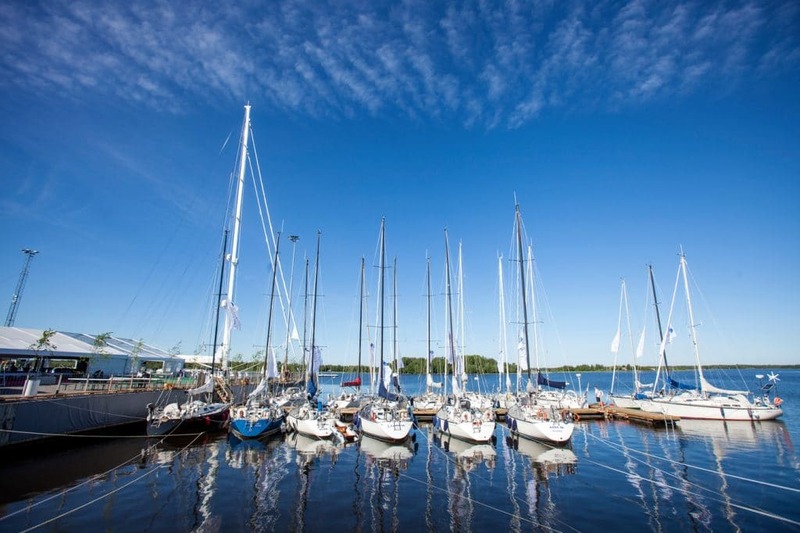 With superb summer weather, an array of entertainment and the attendance of 17 yachts for the Baltic Yachts Rendezvous, the occasion exceeded all the expectations of the Baltic Yachts’ team who worked closely with suppliers from the town of Jakobstad to make this a truly inclusive local event. Activities out on the water, including dinghy racing, model boat racing and the Rendezvous regatta were brought to a conclusion with a parade of sail led by Pink Gin and a fleet of almost 100 local boats. The 17 yachts congregating in Jakobstad for the Rendezvous reminded us all how these designs were at the very centre of the company’s success in its early years and laid the foundations for its current status as the world’s go-to yard for carbon composite sailing yachts. This year’s event attracted a range of yachts from the iconic Baltic 33, of which there were three yachts taking part, to the Baltic 43 including a custom build in the form of the Baltic 43 Ice. She was specially prepared for the regatta and represented the custom building capability of Baltic Yachts. Although there was very little wind for the Rendezvous race itself the fleet did manage to get around the course and in the end it was the Baltic 33 Medoc and her owner Lars-Erik Nyman who collected the first prize.